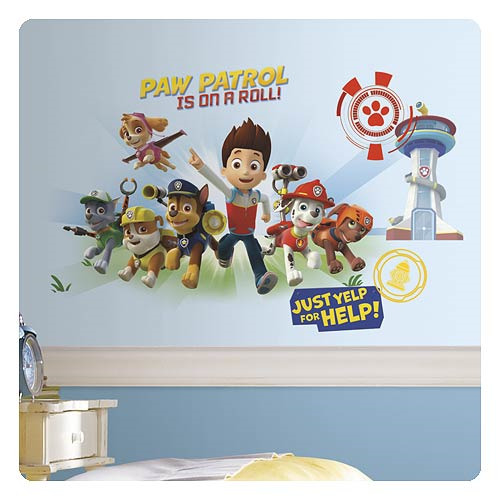 Help your favorite group of puppies protect the Adventure Bay Community with these Paw Patrol Wall Graphix Giant Wall Decals! Great wall décor for a preschooler's bedroom or a Paw Patrol-themed birthday party, these giant wall decals transform a room fast without putting in hard work. Easy to reposition and remove, simply peel the wall sticker from the high quality peel and stick backing and apply to a flat surface for the best results!